She’s A 10! | A.M.P.S. Home Lifestyle She’s A 10! Being called a dime is a sign of recognition for the beauty of a woman’s features, usually awarded by a man. Zacqulynn Kinney’s (pictured above in the middle) version of praising women for their overall beauty and perfection is by declaring women to be a 10. After doing hair for fifteen years, licensed since 2004, Mrs. Kinney, the Queen of Hair Extensions and Hair Color Queen, has founded a way to give women a new, more confident identity outside of her chair. For the past year, she has been promoting female empowerment through her movement, “She’s A 10!”, which compromises of apparel, spiritual words of wisdom, and daily appraisal of the women in her life through various social media platforms. AMPS: What is She’s a 10!? Zacqulynn Kinney: She’s a 10! is an organization to promote women, to help them feel like the beautiful 10s they are. We don’t just focus on outer beauty, though, because we know that when you’re beautiful on the inside, it reflects on the outside. That’s why we have She’s a 10! day where women (and men, too!) are encouraged to give back to the community. AMPS: Who’s the team behind it? The team includes myself, my husband, Kelvin Kinney, as well as Dyshavia Davis, a young lady who is definitely a 10! She is confident, respectful of herself and others, and loves God. AMPS: When did you start the brand and why? I started the brand in November 2012. As a hairstylist, I function as much more than a stylist. A lot of women don’t come just to get their hair done. They need me to be a psychologist, a minister, even a lawyer at times. They were unhappy and needed to feel pretty again. They weren’t hearing it anywhere else. The typical words like queen, beautiful, pretty, and cute just didn’t seem to be working; I needed something unique. One night before a date, my husband called me a 10, and I knew that was the term I was looking for. From that day on, my customers weren’t customers — they were 10s! “She’s a 10!” developed from that. When I went to make shirts, I didn’t want them to say “I’m a 10!” I wanted people to read the shirt and think of the woman wearing it as “She’s a 10!” Society places so much pressure on women to be superficial, unrealistic, and model-skinny to be considered a 10 or beautiful. For us, a 10! is any woman, regardless of age, race, height, weight, or background. We aim to empower women, and it is working. This movement started as a hair thing, but it has developed into so much more. AMPS: What’s the meaning behind “She’s a 10!”? She’s a 10! is more than just an organization. It’s a mindset and a lifestyle. A 10! is any woman of any age who respects herself and others, who is beautiful inside and out, and who values success, leadership, and community. AMPS: How was the logo created? Can you describe it? [The logo was created by] Free Style Printing, a graphic designer in Shreveport made it. It’s “She’s a 10!” with an exclamation point. The exclamation point is a distinctive indication of major significance, interest, or contrast. AMPS: How was the experience for the “Eye Candy Invades Shreveport” fashion show; was it hectic? Was that “She’s a 10!’s” first show? Kinney: Our Shreveport Rep, Dyshavia Davis, represented us at this show, so I’ve asked her to answer this question. AMPS: How far do you see the brand going? Kiney: I’m so excited! With this brand, there isn’t a limit. We’re using this term in a way no one else has quite done before, and the movement is taking off. Every month on the 10th, we have She’s a 10! Day to promote giving back to the community. We’ve started work with our Pink 10s! The Pink 10! is any woman who is going through or who has survived cancer, and we’re starting a foundation to provide wigs for those who can’t afford them. God has given me so many ideas to be a blessing to others, and with God, all things are possible. There is no limit to the good we can do together. AMPS: How did you become a beautician? Kinney: I’ve always done my own hair, and I decided I wanted to make other people look and feel good, too. That’s why I decided to go to beauty school. AMPS: Where did the title “Queen of Hair Extensions” come from? Kinney: One of my customers gave me the name. I’d just finished her hair, and she was in the chair checking it out, and she was amazed at how natural the hair extensions looked, so she said, “You’re the queen of hair extensions!” The name stuck after that. AMPS: What do you think will be the popular hair style for this upcoming fall? Kinney: The fall hairstyle will be long, dark hair. AMPS: What’s your favorite hair style, and what’s your least favorite right now? Kinney: For short hair, I love the bob, and as the Queen of Hair Extensions, I obviously LOVE long hair, too. My least favorite style is when someone has noticeable extensions or bad lace fronts. AMPS: Do certain hairstyles go with certain outfits? Kinney: Of course! No outfit can be complete without the right hairstyle; they go hand in hand. There are other factors to consider such as venue, rather, face shape, and make-up, but one should definitely consider the overall outfit when choosing a hairstyle. Kinney: Out of a million different topics, this pastor is focusing on extensions? I have more of a problem with a pastor that speaks about women wearing extensions in church than I do about women actually wearing extensions. There are numerous problems in this world, and focusing on women wearing wigs or hair extensions is not even close to top priority. Speak about war, alcoholism, drug problems, domestic abuse, promiscuity…don’t focus on hair. There are many reasons women wear hair extensions or wigs. They may do so to boost their self-esteem, to compensate for cancer or stress-induced hair loss, or even to give themselves an edge in the business world. To this day, women still have a disadvantage in the workplace, and you just don’t get a second chance at a first impression. If a woman needs to wear extensions to help her feel more confident, to provide that extra edge over her male counterpart, I have no problem with that. Major corporations are looking for a face for their company or product. Not too long ago here in Shreveport, a young woman lost her job as a TV reporter because of how she chose to defend her hair. She decided to wear her hair natural, someone made a comment, she defended herself, and they fired her. Does she have the right to wear her hair how she pleases?! Yes, she does! This is America, the land of the free. Ultimately, it’s a woman’s decision how she wears her hair. If she wants the natural look, that’s great. If she wants to wear extensions, that’s great, too. The Bible also says a woman’s hair is her covering and her beauty. What Pastor Aamir is doing is preaching outside of spirituality and talking of his own opinions. I’d like to break this down where even a spiritual leader who feels it’s necessary to speak about hair before any other numerous pressing issues can understand. Hair extensions are worn by women of “ALL” ethnic backgrounds, whether it’s to add volume to thinning hair or just as an extra confidence boost. Stress, pregnancy, certain diseases, and female hormones in general can cause hair loss. When a woman is diagnosed with cancer, one of the first things she’ll ask her doctor is, “Am I going to lose my hair?” If wearing extensions or wearing a wig boosts a young woman’s self-esteem during difficult times or even normal times, where is the harm in that? AMPS: Are women too vain on social media? Are there too many pictures taken after they leave their beautician’s chair and before they go out? Kinney: I have no problem with women who feel confident and beautiful posting pictures of themselves after leaving the salon or before they go out. I do have a problem with women who stick their behinds out, take half-naked pictures, or look back at themselves in the mirror as they take the pictures. When they put themselves out there like that, they are making themselves look easy for men, and therefore, men will treat them that way. 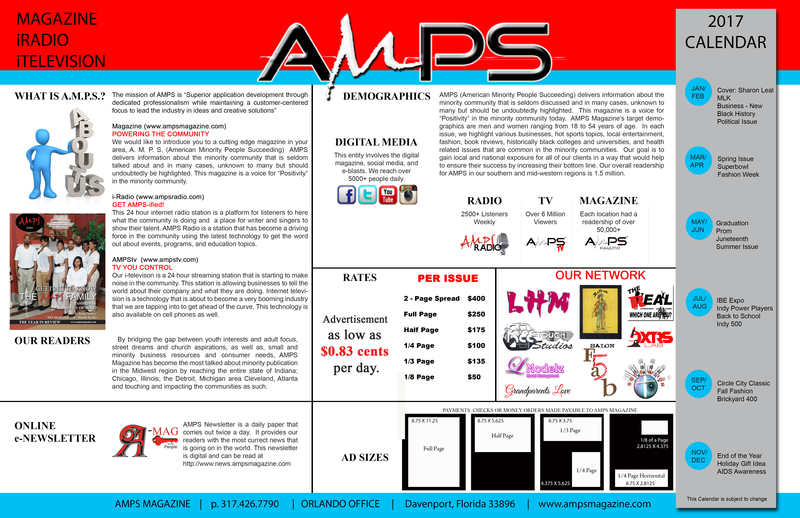 AMPS: How do you use social media like Facebook/Instagram to promote yourself, Queen of Hair Extensions, and the She’s a 10! Brand and Why do you decide to highlight women that wear She’s a 10!, provide Bible scriptures and promote benefits/charities on your social media posts? Kinney: I’ll answer both of the above questions together, because I use Facebook and Instagram to promote my 10s! The definition of a 10! is one who respects herself and others, who is confident, who is a leader. She gives back to others, and she values success and community. She is a godly woman. This is why I highlight women who wear the She’s a 10! shirts. This is why I post Scripture and promote charities and benefits. You are who you hang around, and others’ habits and values wear off on you. In today’s society, women (and men) call each other nasty names and are generally rude to others. I post Scripture, highlight 10s!, and promote charities and benefits, because these are the habits and values I want to wear off on others. AMPS: What are your plans for the rest of the year and next year? Kinney: We’re just going to follow God wherever He leads us!